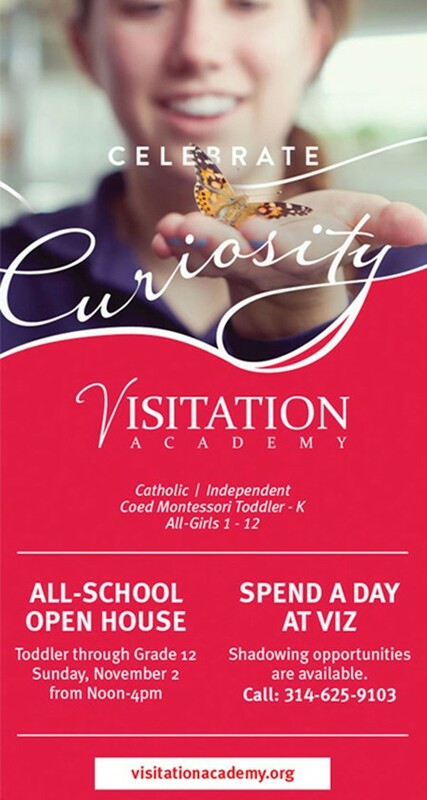 Visitation Academy, commonly referred to as Viz, is a community of three schools committed to the education and enrichment of children and young women. 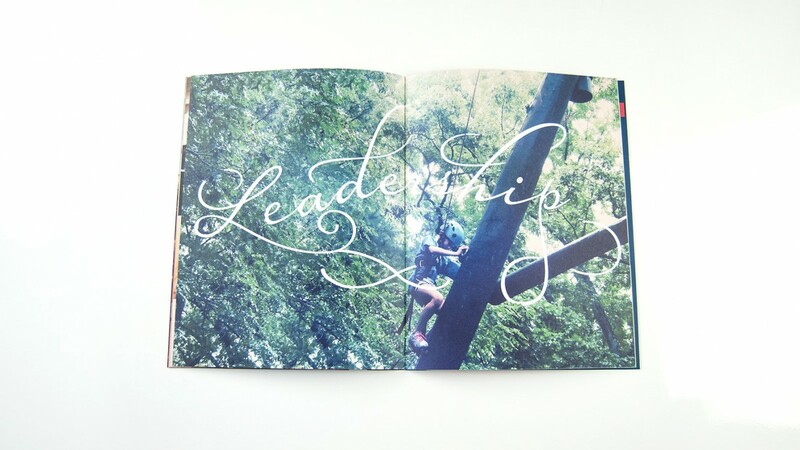 We moved to package three individual viewbooks inside one package, illustrating their shared connection to Viz. 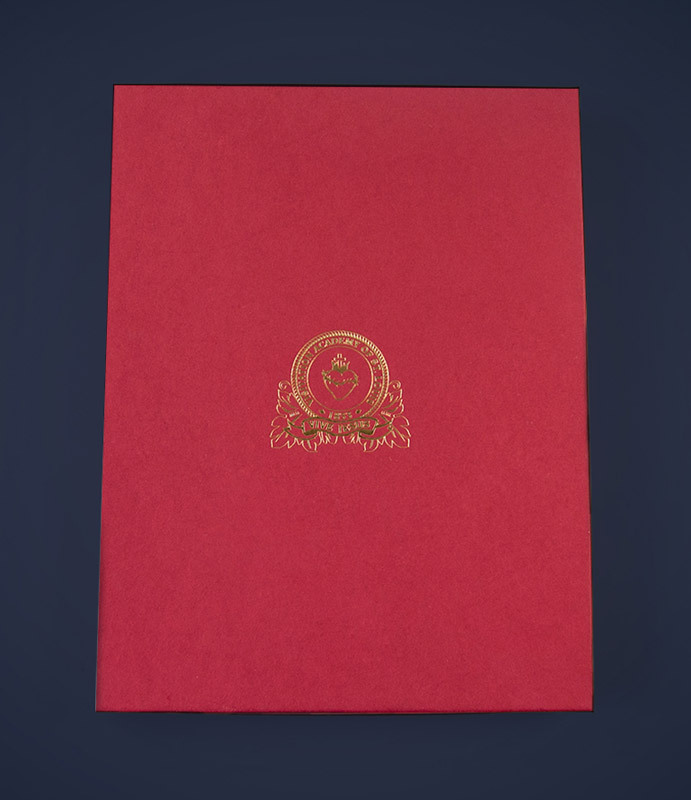 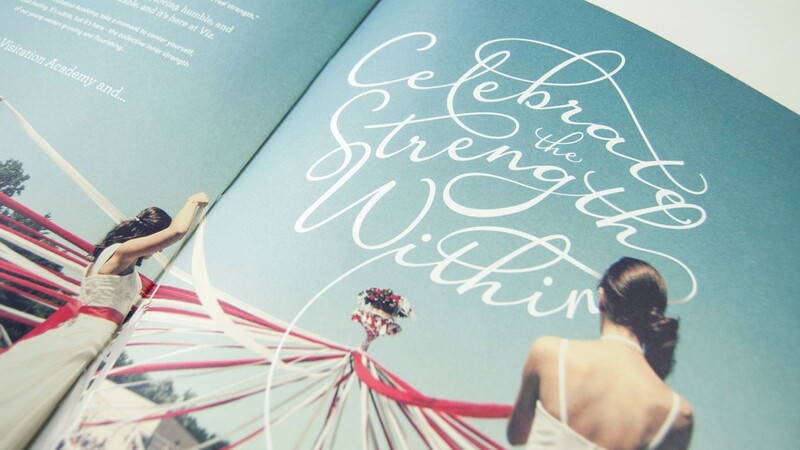 Featured in every book is a unique visual treatment we developed for the academy’s core message: Celebrate the Strength Within. 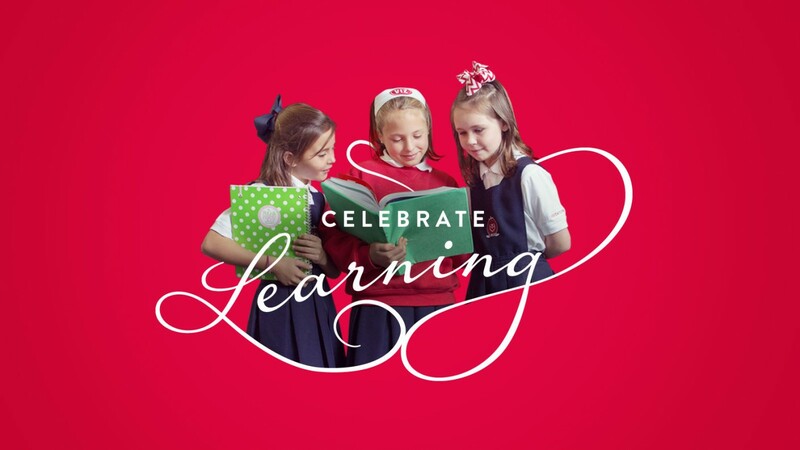 The words themselves represent the academy’s values, while the fun, celebratory script encircles the students and seems to emanate from within them. 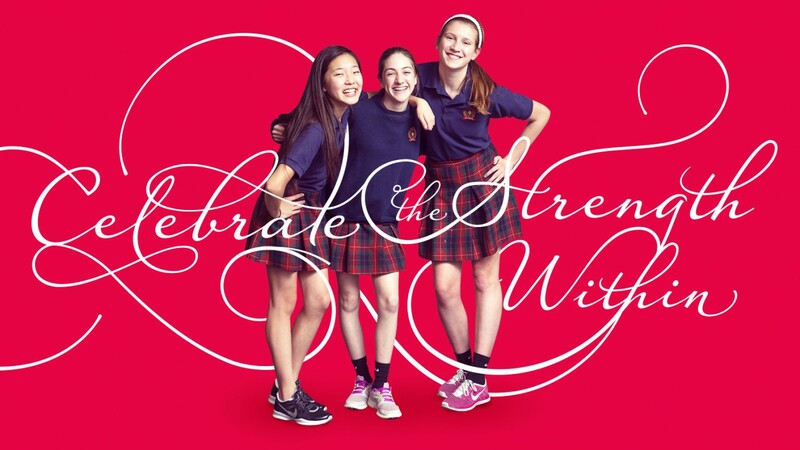 With this overall visual complete, we added flairs of personality to the academy’s three schools. 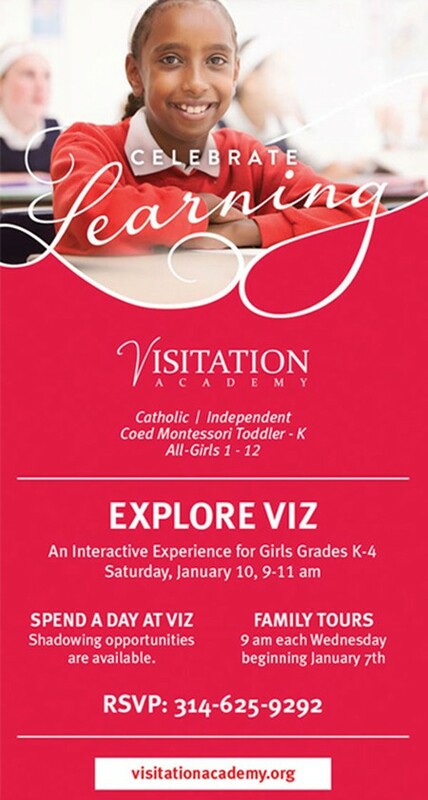 Viz’s lower school nurtures young children through the joy of exploration. 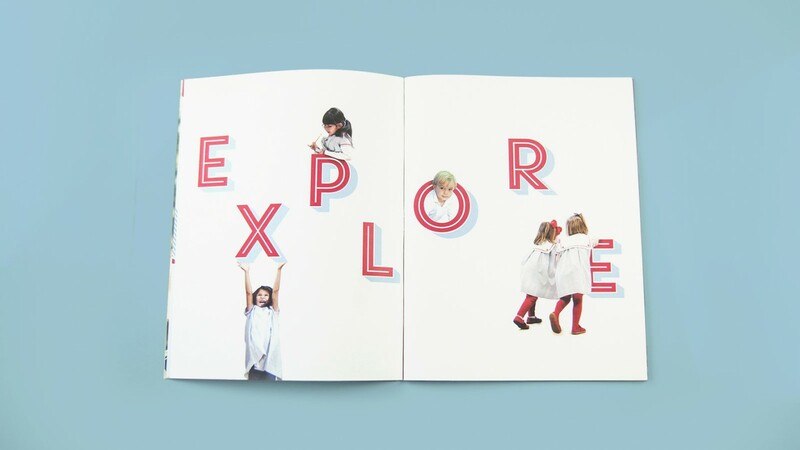 This imaginative spirit is reflected through the viewbook’s bright, colorful palette accented by patterns and minimalist illustrations. 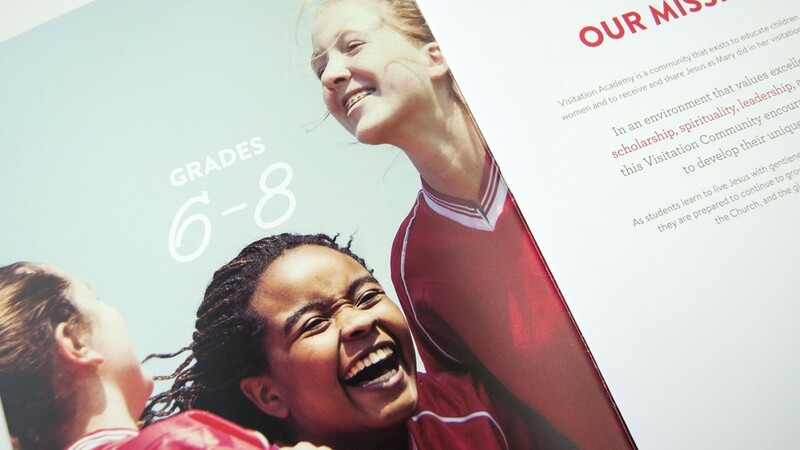 As it was still in the planning process, we made special considerations for Viz’s middle school. 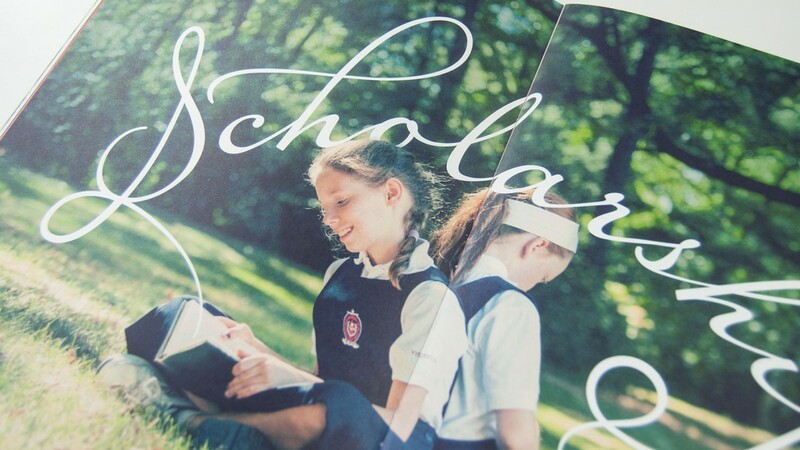 Our photoshoot featured children in specially made uniforms and relied on the academy’s vision for the school in developing its viewbook. 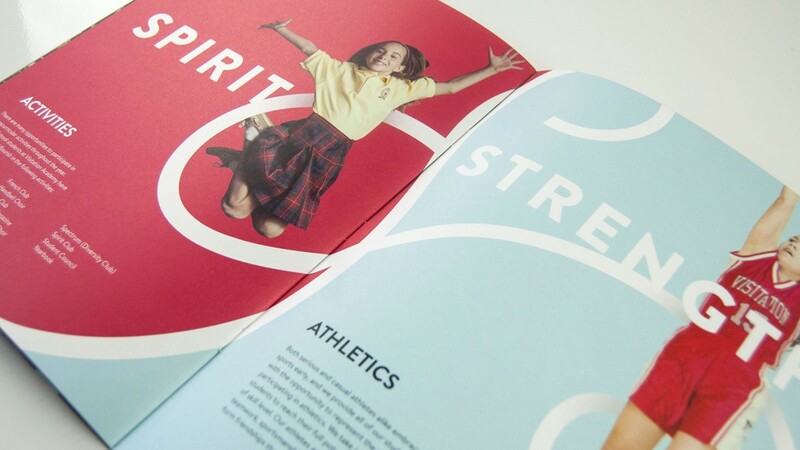 Viz envisioned the middle school as a place for vibrant self-discovery and identification, guiding our use of bold typefaces and more abstract imagery. 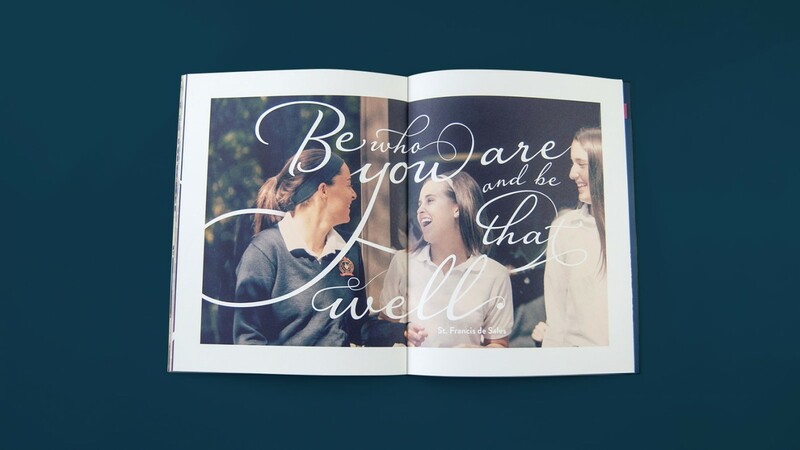 Viz’s upper school builds on the foundation of its sister schools to prepare young adults for college life and beyond. 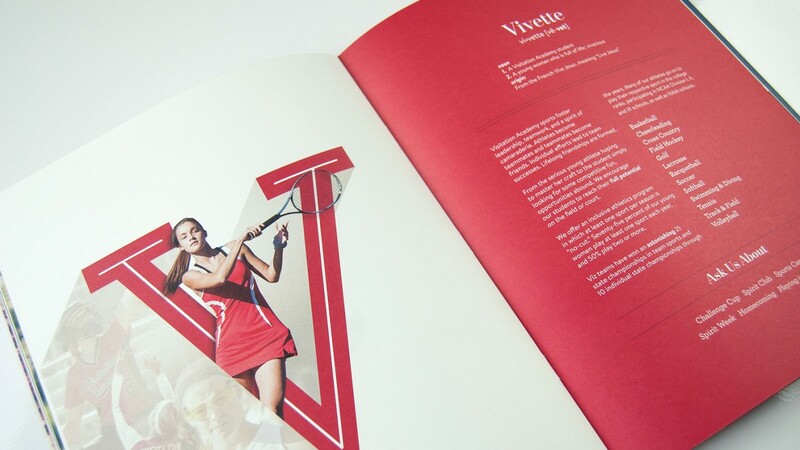 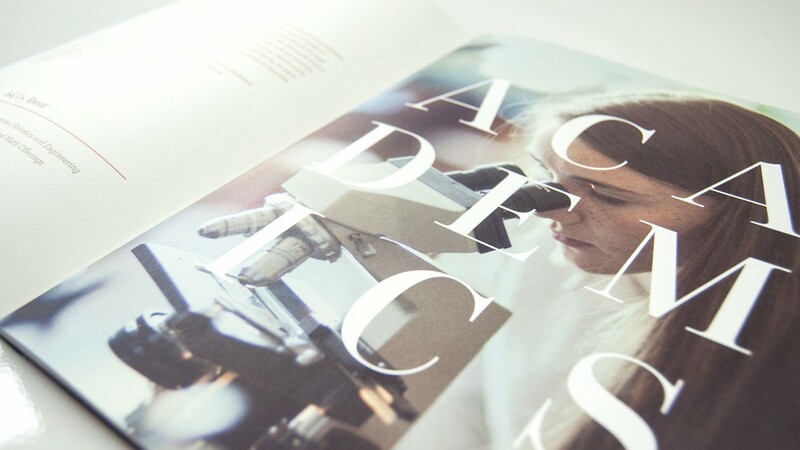 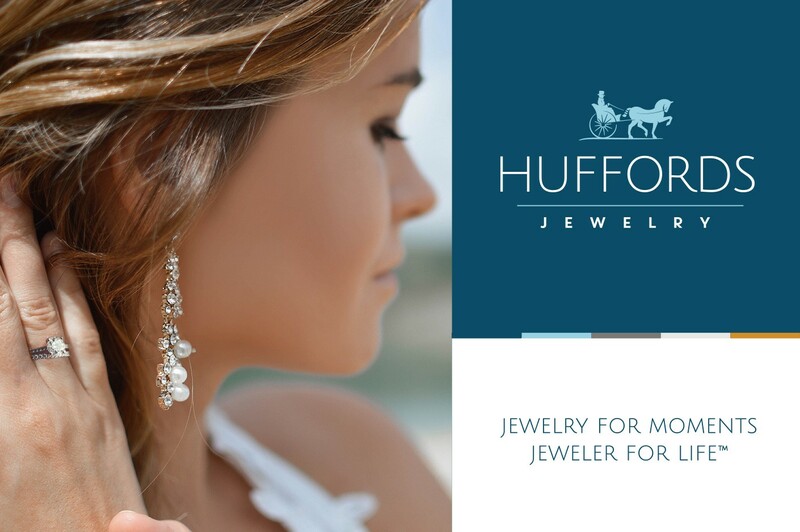 This refinement is expressed in the viewbook’s more cultured, realistic style. 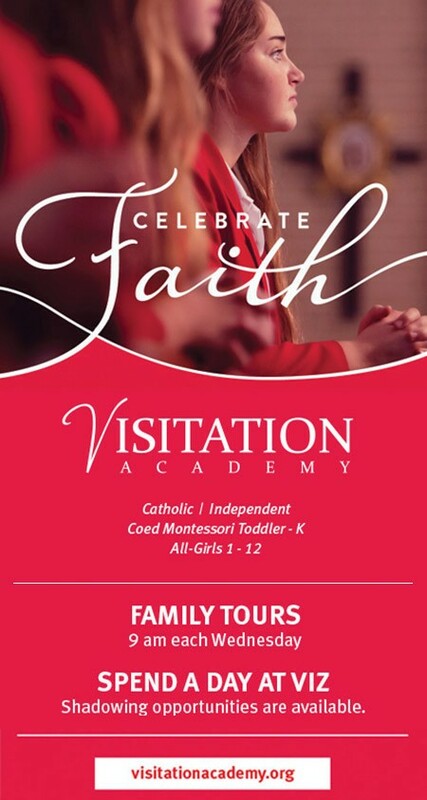 The strength of the “Celebrate” messaging established in the Viewbook led to a smooth transition into Visitation Academy’s print advertising and email marketing. 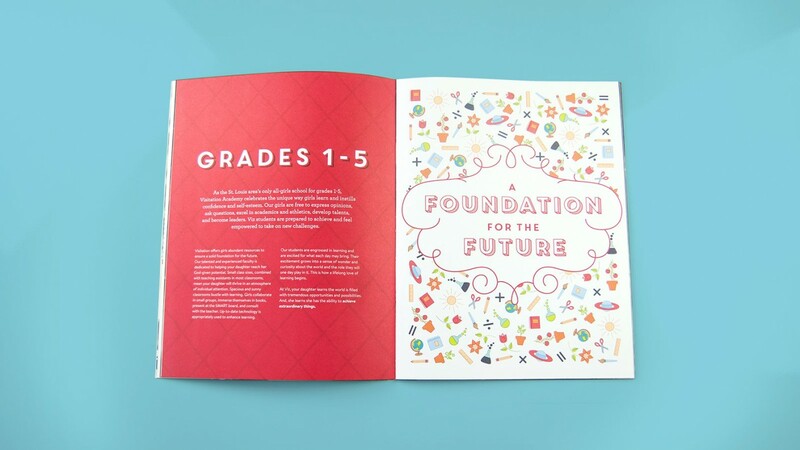 With a fresh creative direction supported by custom viewbooks, Viz schools are set to continue their growth and success in developing some of the brightest young minds in St. Louis.